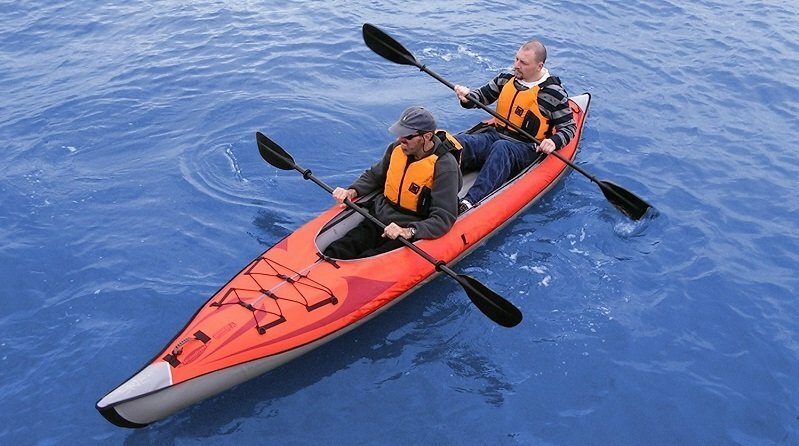 Our objective here at OutsidePursuits.com is to provide you with outdoor equipment reviews in our comprehensive buyers guides that will give you the information you need to make an informed decision on what to buy and what to avoid. We also have in depth “How To” guides on all of the outside activities on our site so you can enjoy the great outdoors with confidence! Richard Remick: I work part time as an IT security consultant. Luckily I can work from anywhere so I go back and forth between Colorado and Florida. I get my fix of skiing, snowboarding, hiking and camping in Colorado in the Dillion area, and when I am in Florida you can usually find me on the water either paddleboarding or kayaking. My recent passion is scuba diving, I got certified a few years ago and “get wet” as frequently as I can. Casey Fiedler: I am an avid outdoorsman with experience in naturalist education, outside adventure education, ski instruction, and writing. In addition to my outdoor hobbies like kayaking, backpacking and camping. I’m a huge fan of punk rock, launched several start-ups and business ventures. When exploring the backcountry, I usually carry less than 10 pounds of gear. Years of experience have taught me to pack light. I enjoy sharing my experiences of backcountry education teaching and guiding through writing. Richard Moore: aka El Tigre is an avid adventure traveler with extensive trekking experience throughout Central America, Mexico and the Caribbean. In 1998 he weathered category 5 Hurricane Mitch on the northern coast of Honduras. He has mountain-biked, fished and 4×4 toured extensively in the USA, Mexico and Central America. In the summer of 2004 he lived among the Kuna Indians of the San Blas Islands of Panama. Today, he manages a real estate investments company based in San Jose, Costa Rica and organizes adventure travel excursions to Costa Rica. He is a motorcycle enthusiast and enjoys touring on Harleys and dual-sport riding. Christina Carraway. : As a passionate traveler, I have been exposed to many cultures and different parts of the world. These experiences have shaped my views and writing style. Travel is definitely my “thing” and if money were no object, you’d never be able to catch up with me. Writing is my creative outlet. I get lost in the process of sharing amusing anecdotes and observations about everyday life with readers. I enjoy explaining things in a way the average layperson can understand. Keith Clark. : Serial Entrepreneur traversing many of nature’s best terrain to get a better view of what our nature has to teach us and usually specializes in health conscious digital media. For the past seventeen years Keith has consulted for numerous industries including many Fortune 500 firms down to small family run companies. He brings his experience and a well-rounded lifestyle on an as-needed basis with a passion for saving the planet, cause someone has to do the job.